This year’s edition of the Monaco Yacht Show showcased $3.5 billion worth of superyachts featuring a total of 121 superyachts 106 motor yachts and 14 sailing yachts along with 12 supercars and 2 helicopters on display on deck. 580 exhibitors were present which ranged from superyacht builders, designers, suppliers, tenders and water toy manufacturers and brokers. On average, this year’s edition saw vessels of all kinds slightly larger than previous years. The average length for motor yachts featured was of 51.5 meters while sailing yachts measured an average of 45.6 meters in length. Among the 121 much anticipated superyachts on display were Oceanco’s 90-meter new motoryacht: Dar, Feadship’s 92-meter Aquarius, Perini Navi’s 70-meter sailing yacht Sybaris and newcomer sailing yacht All About U by Ada Boat Yard. 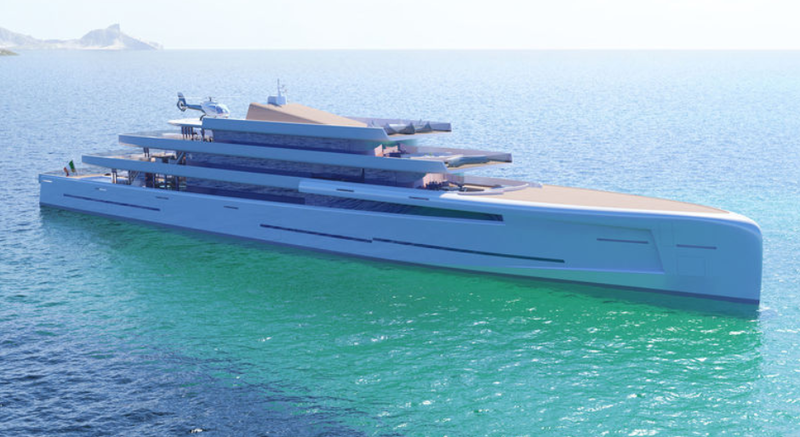 Debuting at the Monaco Yacht Show were 88.5-meter Illusion Plus by Pride Mega Yachts with touch-and-go helipad and 71.0-meter Solo by Italian builder Tankoa Yachts complete with winter garden and beach club with hammam. Other worthy mentions included: Elandess with a length of 74.5 meters and below the waterline lounge by Abeking & Rasmussen, 69-meter Spectre by Benetti and Kismet by Lurssen with a weekly charter rate of $1.29 million. Sailing yachts also delighted with the 42-meter Vijonara by Pendennis featuring upholstery by Hermes and with Sybaris, the world’s sixth largest private sailing yacht, by Pereni Navi.